Premier Auto Parts wants to help you by providing different car tips for you. Are you and your car prepared? If not, now is the time! Have your battery and charging system checked for maximum performance. Cold weather is very hard on batteries. with a 12-month replacement warranty. Clean, flush, and put new antifreeze in the cooling system. As a general rule of thumb, this should be done every two years. Make sure heaters, defrosters, and wipers work properly. Consider winter wiper blades and use cold weather washer fluid. As a general rule, wiper blades should be replaced every six months. Check the tire tread depth, tire air pressure, and condition of rims. If snow and ice are a problem in your area, consider special tires designed to grip slick roads. During winter, tire pressure should be checked weekly. you through the cold months. Be diligent about changing the engine oil and filter at recommended intervals. Dirty oil can spell trouble in winter. Consider changing to “winter weight” oil if you live in a cold climate. Have your technician check the fuel, air and transmission filters at the same time. Extreme cold temperatures can cause your engine oil to flow significantly slower which can lead to catastrophic engine failure, thus the importance of fresh, clean, oil. Truck Parts for used engines at great prices with amazing warranty options. engine north of Grand Rapids at Premier Auto and Truck Parts! 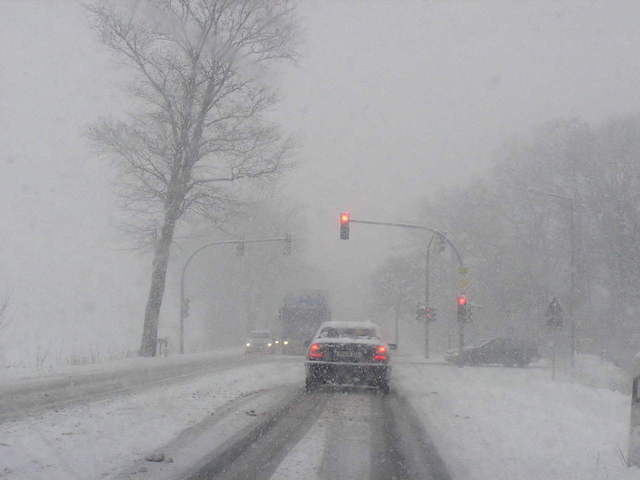 Have your transmission tuned up and inspected prior to snowfall. Winter is especially hard on used transmissions because of the additional wear and tear of wheel spin. Remember if you get stuck in the snow, DON’T SLAM THE TRANSMISSION BACK AND FORTH! You will ruin your used transmission in no time. A couple hundred-dollar tow bill from a local towing company will be inexpensive compared to having to replace your transmission. calling Premier Auto and Truck Parts today. Have your brakes checked. The braking system is the vehicle’s most important safety item. Check to see that exterior and interior lights work and headlights are properly aimed. If you’ve been driving around with a broken or cracked headlight or taillight consider replacing it before winter. With increased driving in the dark during the winter months it’s a good idea to have all your lights fully functional. help you with your used headlight and taillight needs as well. Be careful out there this winter! With the dog days of summer upon us, high temperatures can take their toll on people, animals and even cars. Extreme heat can push a vehicle past its limits, and once again this year some drivers will find themselves stranded at the roadside because of it. While many drivers think about the importance of readying their vehicle for cold weather in winter, it’s important to not forget about the need also to prepare for hot summer months. Most drivers think battery problems occur primarily in winter, but summer heat can negatively impact your car’s battery even more than the bitter cold of winter. Heat and vibration are a battery’s two worst enemies leading to internal breakdown and eventual failure. While drivers cannot do much about the heat, they can make sure their battery is securely mounted in place to minimize vibration. Another potential summer problem is faster evaporation of the battery fluid, leading to corrosion on terminals and connections. Clean any corrosive build up from the battery terminals and cable clamps, and ensure the clamps are tight enough that they will not move. If a car’s battery is more than three years old, it’s a good idea to have it tested by a trained technician to determine how much longer it will last. Automobile engines and transmissions work extra hard in the summer, and it is the cooling system’s job to protect the engine and transmission from overheating. In addition, additives in the coolant protect the radiator and internal engine components against wear and corrosion. Without proper cooling system maintenance, the odds of long term engine damage, and a summer time boil over, definitely increase. Over time, engine coolant becomes contaminated and its protective additives are depleted. That’s why the system should be flushed and the coolant replaced periodically as recommended by the vehicle manufacturer. Older coolants used to require changing every two years or 24,000 miles, but most modern formulations are good for at least five years and 50,000 miles. See the owner’s manual or maintenance booklet to determine the service interval appropriate for a vehicle. Rubber cooing system components also are susceptible to deterioration caused by extreme heat. Inspect hoses and drive belts for cracking, soft spots or other signs of poor condition. Worn parts are more susceptible to failure in hot conditions and should be replaced. More than half the vehicles on the road were found to have at least one under-inflated tire, according to the Rubber Manufacturers Association, and 85 percent of motorists do not know how to properly inflate their tires. Tires should be checked when the car has not been driven recently, and they should be inflated to the pressure recommended by the vehicle manufacturer—not the number molded into the tire sidewall. Recommended tire pressures can be found in the owner’s manual or on a sticker normally located on the driver’s door jamb. Some vehicles use different pressures for the front and rear tires. While checking the tire pressures—including the spare—drivers also should inspect the tire treads for adequate depth and any signs of uneven wear that might indicate a suspension or alignment problem. Engine fluids are essential to keeping a vehicle running smoothly. Most fluids not only lubricate, they also serve as coolants by helping carry heat away from critical components. When fluid levels are low, this cooling effect is reduced, and the possibility of overheating increases. Drivers to should check all vehicle fluids including motor oil, transmission fluid, power steering fluid and brake fluid to ensure they are filled to the appropriate levels. If any fluids need to be topped off, be sure to use the type of fluid specified in the owner’s manual. Maintaining a comfortable driving environment reduces fatigue, which can play an important part in driver alertness and vehicle safety. During extreme summer heat, a properly operating air conditioning system can be more than just a pleasant convenience. If a car’s air conditioning is not maintaining the interior temperature as well as it did in the past, it may mean the refrigerant level is low or there is another problem. Have the air conditioning system checked by a certified technician. Even with proper preventive maintenance, summer breakdowns can still occur, so Premier Auto and Truck Parts recommends every driver have a well-stocked emergency kit in their vehicle. The kit should include water, non-perishable food items, jumper cables, a flashlight with extra batteries, road flares or an emergency beacon, basic hand tools, and a first aid kit.